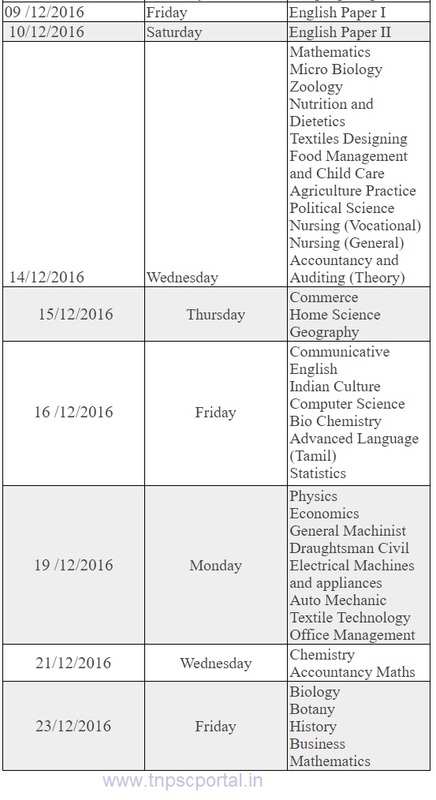 07-12-2016 : Examinations dated 7th, 8th December 2016 will be conducted on another dates. The Dates for postponed examinations will be announced later. All other examinations will be conducted as per the schedule from 9th December 2016. Tamilnadu Plus Two / 12th Half Yearly Exam December 2016 Time Table is published by School Education Department. According to the latest time table released by School Education Department, the Tamilnadu Plus Two / 12th std half yearly examinations will be conducted from 7th December 2016 to 23rd December 2016. 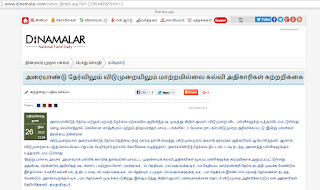 09-12-2015 : Tamil Nadu Government announced Half-yearly exams postponement is applicable to all private schools also - Honourable Chief Minister Jayalalithaa clarified. The Chief Minister has already announced that the Half Yearly exams will be conducted in January 2015. But, some private schools thought the Government Order is applicable to Government Schools only and not for them. 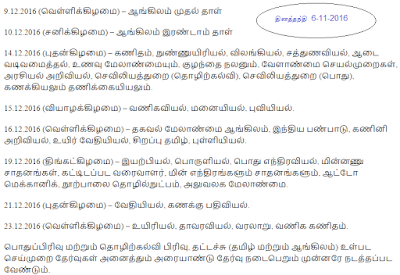 Now the CM has clarified that it will be applicable for all schools in Tamilnadu. 01-12-2015 : Honourable Chief Minister J.Jayalalitha announced Tamilnadu Half yearly exams december 2015 dates changed to January 2016 . 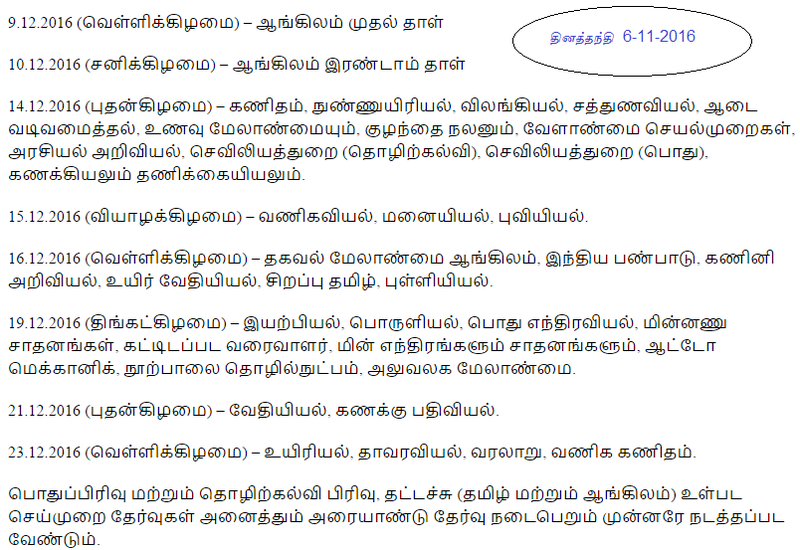 Due to heavy rain, the Tamilnadu Schools Half Yearly Exams have been postponed to first week of Januay 2016. The new time table and other details are expected to be published by the School Education Department soon. 26-11-2015 : There will be no change in the Plus Two Half Yearly Exam Date / Time Table and Holidays. The examinations will be conducted as per the schedule. According to the dinamalar news article, a circular has been sent to all schools through Chief Education Officers to conduct the Half Yearly Examinations for all classes as planned already. But, the decision may be changed based on the raining in coming days.